China’s independent refinery stressed its major role in the domestic refined oil market in 2018. On the supply side, government continued to distribute the crude oil import quota to independent refineries with the amount of over 110 million mt. The operating rates of CDU units were stable to rising and the refined oil output increased Y-O-Y. On the demand side, the demand for gasoline and diesel was dragged by the economic slowdown, alternative energy sources and air pollution control. The North China Petrochemical Company of PetroChina put the upgrade project with an annual processing capacity of 10 million mt into production in 2018. The Hengli Group and Zhejiang Petrochemical will also put a new refinery with an annual capacity of 10 million mt into production respectively in 2018. With the increased competition in refinery industry, independent refineries focused on establishing gas stations and refining-chemical integration. Independent refineries tried to extend industrial chain to oil deep processing and chemical industry in 2018, and obviously they made some progress. Besides, though the cost and product prices were increasing together, yet some major independent refineries still could make profits. In 2019, all refined oil products must be upgraded to fit the Stage VI Emissions Standard. This required higher technology of the CDU units and other units at independent refineries. With the improvement of matched facilities, the logistics cost of several refineries will decrease. Besides, independent refineries sought cooperation positively to promote enterprise transformation and to enhance resistance to risks. However, the new refinery capacity will continue to increase so the over capacity will still be a problem. And the development of the refinery industry will also be limited due to the undetermined export of refined oil. How could China’s independent refineries handle with the more and more serious market situation? With increasingly restricted supervision on environmental protection and taxation, how will the profit model of independent refineries change? This report is based on the first-hand data of 14 years of investigation from SCI, the authoritative data published by National Development and Reform Commission, National Bureau of Statistics, General Administration of Customs and etc., and the industry data from domestic independent refineries, traders and downstream factories. Senior industry experts will make detailed review of China’s independent refinery industry in 2018. 1. Report includes rich details and data from SCI’s years of study in China’s independent refinery industry. 2. 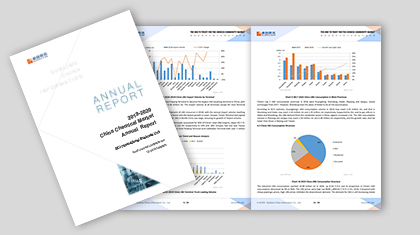 Report analyzes the change and trend in China’s independent refinery industry in 2018 from multiple perspectives. 3. According to the data and the industry status, report forecasts China’s independent refinery industry’s opportunities and challenges objectively.